So you’ve heard about how Lanikai Beach is one of the best beaches in the world. And if you haven’t heard that, well, it’s been called that. 😉 This means that it’s also known as one of the best beaches in Oahu! 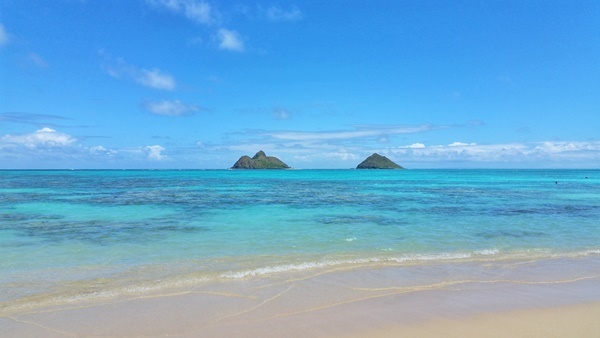 It’s at this beach that you can see those famous picture-perfect Mokulua Islands too. But do you really need to rent a car to get to Lanikai?! How much time are you willing to spend in transit, aka sitting on the bus and waiting for the bus at the bus stop? How much are you willing to walk from the bus stop to the beach? How long does it take to get to Lanikai Beach by bus from Waikiki? Short answer: You can expect it to take around 1.5 hours. That includes the time on the bus and the walk to the beach once you get off the bus. 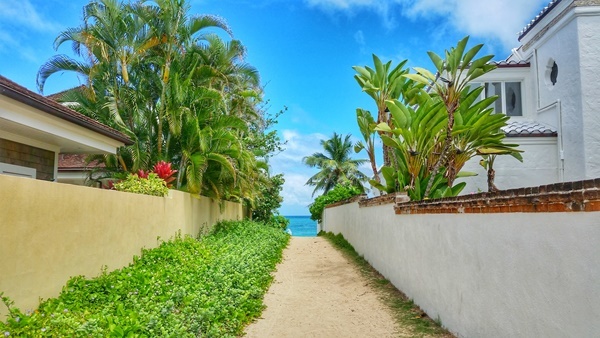 How much will you have to walk from the bus stop in Lanikai to the beach? Shore answer: There’s a good chance it’ll be a 30-minute walk. Make sure you have water for walking in the hot sun! Have a look here for a popular water bottle in Hawaii. For all things about the bus on Oahu, Google Maps is amazing! So let’s consult our dear friend Google for public transit directions: Have a look here. If you know what hotel you’re staying in, go ahead and plug that in to get a better idea. And if you don’t know where you staying yet, be sure to have a look at these cheaper vacation rentals in Oahu! You may be able to find some near Lanikai and Kailua. Also check that you’re looking at a “depart at” time in the morning. If the bus schedule is showing for the night, timings could be even more limited. So you’ll be shown a few different bus options. Lanikai by bus = lots of walking! For a bus trip to Lanikai Beach, it will be slightly more important to expand open the details of each bus trip. This is because for Lanikai, you’re given options in which the bus will drop you in Kailua, a 30-minute walk from the beach (more common), and you may also be given an option in which the bus will drop you a 5-minute walk from the beach. Generally speaking, you’ll probably have to get at least one transfer. If you time it right, you might have options available that will allow you to take just a single bus. The single bus option more than likely will mean a 30-minute walk to the beach. You might find a bus trip that shows you just a few minutes walk from the beach, but in that case, it seems to require 2 bus transfers. And if you’re transferring buses based on your Google Maps route suggestion, you are also counting on on-time buses. If you miss a bus you’re supposed to transfer to, it could end up being a long wait for the next bus to come. If you’re taking the bus in Waikiki, this may not be such a big deal to miss the bus, because the next bus is probably another 10-15 minutes away. But out in Lanikai, it could be 30 minutes to an hour for the next bus on that route. If this does happen to you though, missing the bus, you may try searching for another route on your Google Maps app to see if there’s another bus stop nearby in which a bus to Lanikai will come sooner. 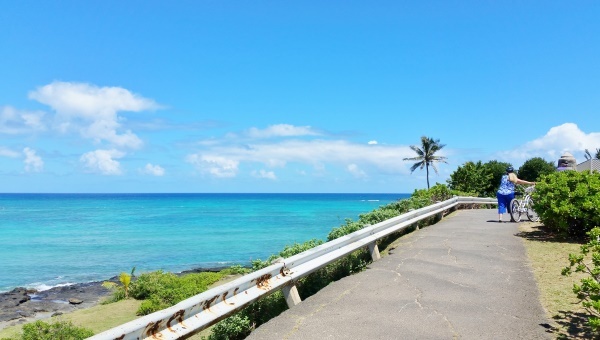 But basically, if you are taking the bus to Lanikai Beach, be prepared to walk! In most cases, it will be about a 30-minute walk from the bus stop. Also consider, that it will also depend on what part of the beach you want to be at. You can go even further to add on even more walking. There are also different paths that you can go down to get to the beach once you’re nearby. Bring lots of food and water! There really aren’t any facilities near Lanikai Beach. That includes places to eat, and it also includes bathrooms. For food and water, you don’t want to be deprived of energy! So be sure to come prepared. And, if you’re making the journey all the way out to Lanikai by bus, you should highly consider heading into Kailua town too! That’s the closest place for food. 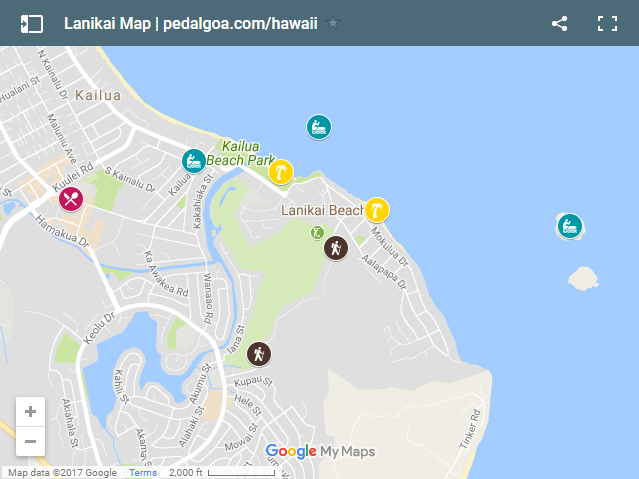 You can take a look at the Lanikai map for a better visual and to explore places to eat in Kailua! Does the bus to Lanikai seem really complicated?! The bus can be a very good way to see much of Oahu in a cheap way. But it isn’t without inconveniences, especially when you’re taking the bus to Lanikai from Waikiki. So, if you do choose to take the bus to Lanikai, these are just some things to know so it won’t be unexpected. As long as you know going in that you’ll be walking a lot and spending lots of time getting to and from Lanikai Beach, and you don’t mind these things, then it’s all good! See here for general tips about taking the bus on Oahu. You may also consider adding in the Lanikai Pillbox Hike which is located near Lanikai Beach. But, consider that it means you’ll be hiking with your beach gear too. But the views from the trail are great! If you decide to do the pillbox hike, you may want to start the trail from the opposite end so you will end up near Lanikai Beach. Otherwise, you can do a shorter hike that starts and ends near the beach. 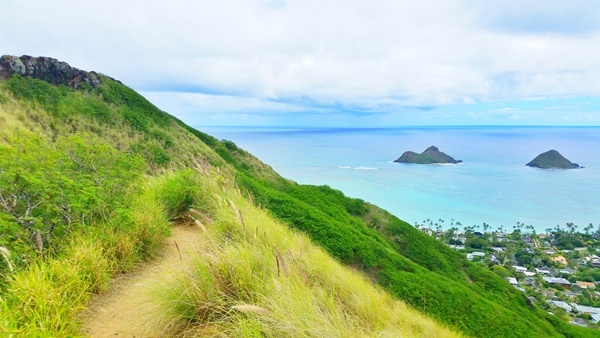 Have a look at Lanikai Pillbox Hike by bus to think more about it!